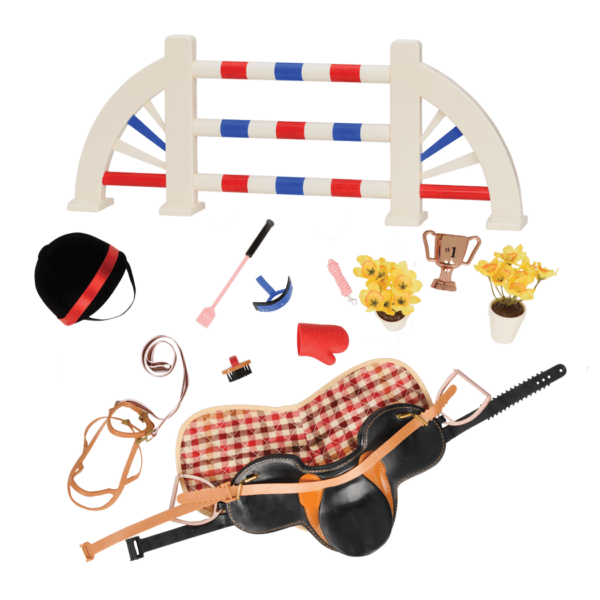 A bundle of deluxe athletic outfits for 18-inch dolls! Active dolls will be best dressed for all their activities with the Jump and Twirl Deluxe Outfit Bundle from Our Generation! This collection of two complete outfits for 18-inch dolls will fill out your doll’s wardrobe with bright, colorful active-wear doll clothes that are easy to mix and match! Practice all your best moves in these doll athletic outfits! The deluxe ballet outfit includes two outfits in one! 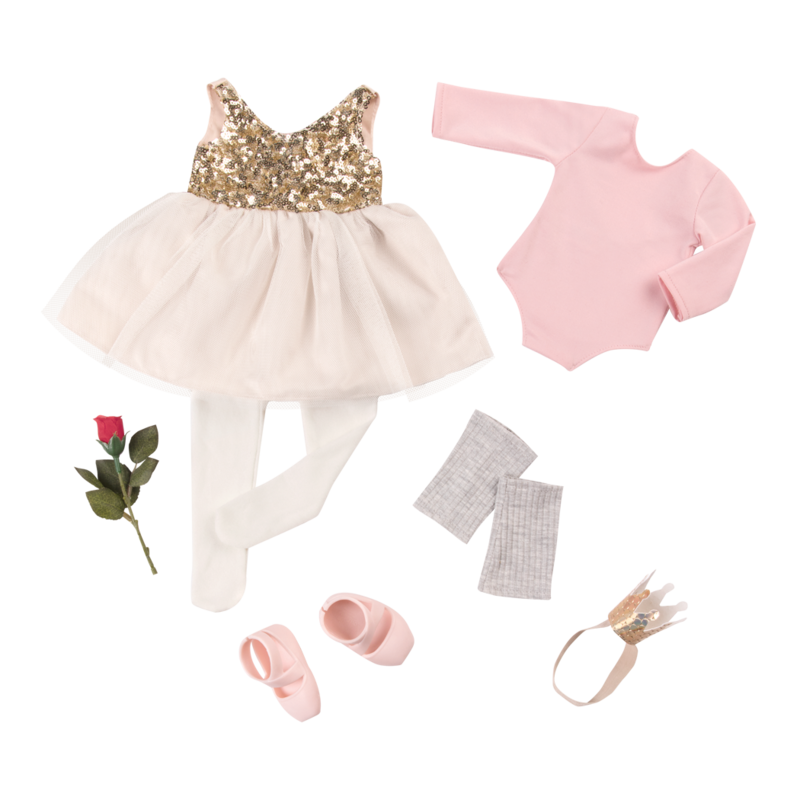 Use the white tights, leg warmers, and pale pink leotard for practice, and dress your dolls in the gold sequined ballet dress and crown for opening night. 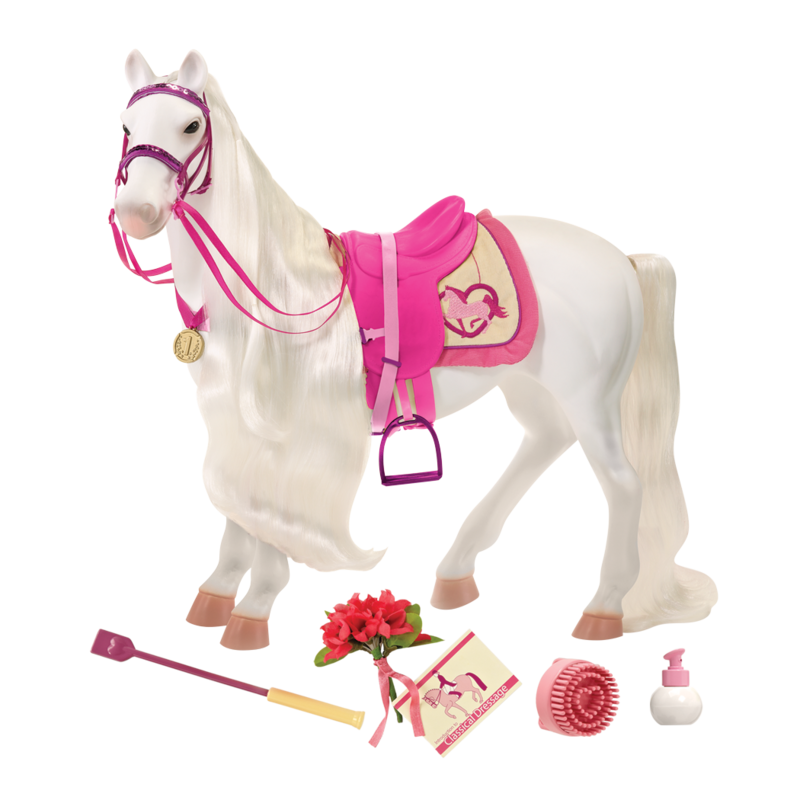 This set includes pretty and realistic ballet slippers and a rose your doll can receive from her audience! 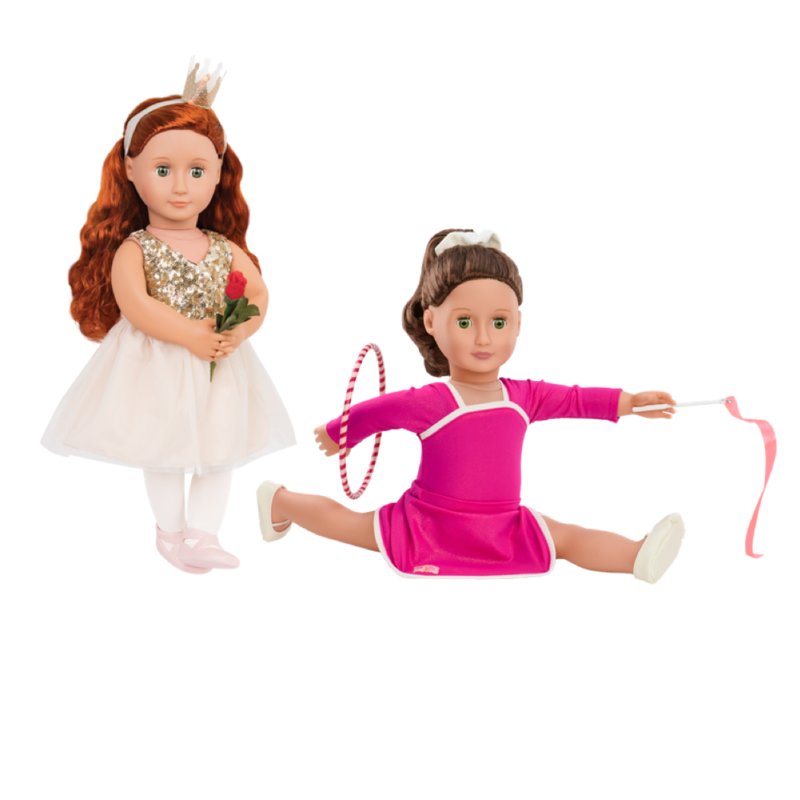 For a different type of performance, dress your dolls in the bright pink gymnastic outfit including a long-sleeved leotard and matching skirt. The practice slippers will help her jump and twirl on the balance beam, and the floor mat, hula hoop, and streamer wand are the perfect accessories for all kinds of gymnastic routines! The Jump and Twirl deluxe outfit collection is just one of the Our Generation Bundles available! 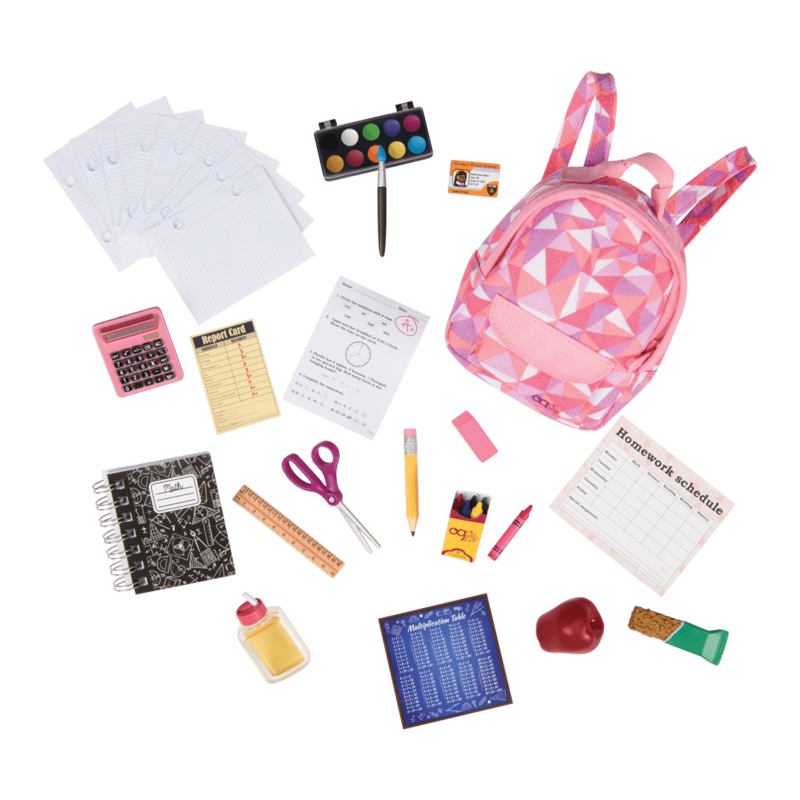 Check out all of the Bundles for a fun collection of themed products in a single package! Looking for just a single outfit from this collection? The Jump and Twirl Deluxe Outfit Bundle features the Opening Night deluxe ballet outfit, and the Leaps and Bounds gymnastic outfit. 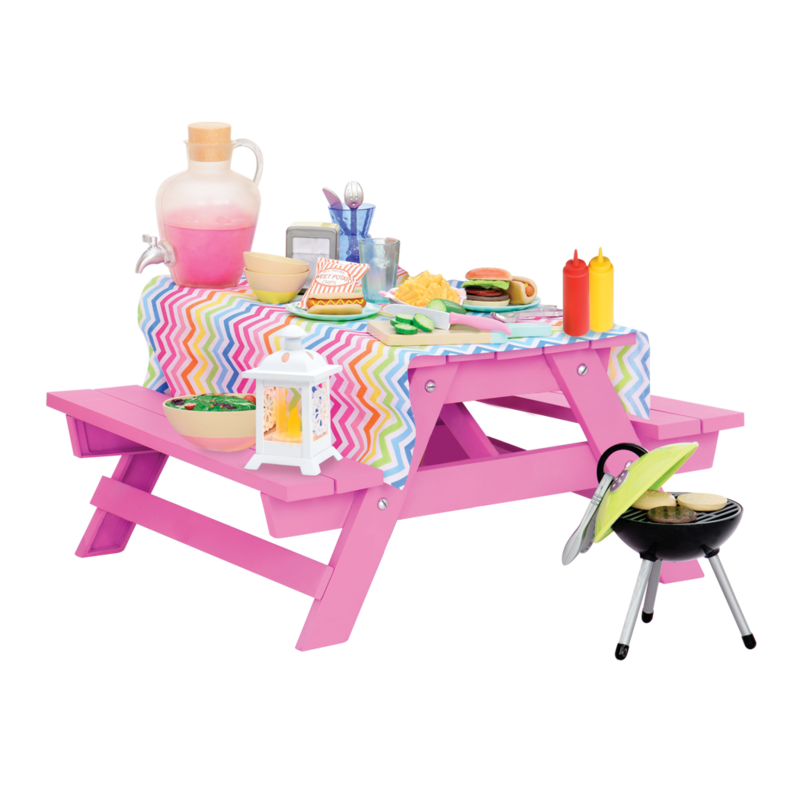 These deluxe outfits come with lots of extra accessories, and are all sold individually.